Release: Colin Webster and Graham Dunning – “Estigate” – Limited CD and download. 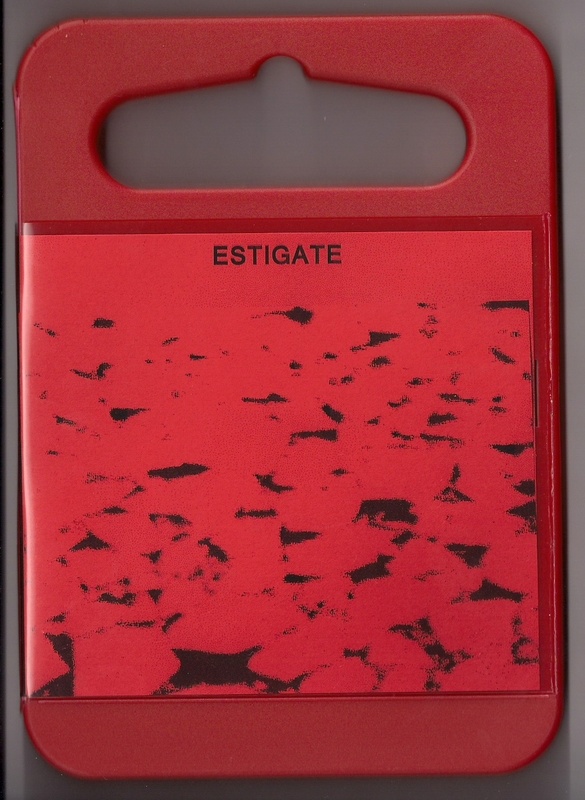 This month Linear Obsessional Recordings released a album by myself and Colin Webster, Estigate. The 8 track album is available as a CDr in special packaging, including broken pieces of shellac records, or a digital download. Listen / download / mailorder here. Linear Obsessional Recordings are excited to present this extraordinary duo- featuring textural recordings of extended technique saxophone and turntable with specially recorded dub-plates. “Estigate” is a thrillingly original recording…. In the duo of Colin Webster and Graham Dunning, Colin improvises exploring a strict palette of minimal saxophone sounds, with an emphasis on breath and mechanical noises over “pure/natural” notes. No effects or external processing are applied to the saxophone sound. The aim is to produce sounds that could be interpreted the listener as synthetic or electronic in nature. Graham uses cheap DJ turntables and dubplates of his own field recordings, avoiding scratch DJ techniques in favour of a palette of noise, hum, crackle, drone and scraping sounds. In parts he also plays the platter itself, the case and lid, and employs brushes, dentistry tools and pencils in sound making. Graham Dunning: Turntable, mixer and dubplates.Recorded on 12th January and 15th August 2012 in a storage facility in South London.